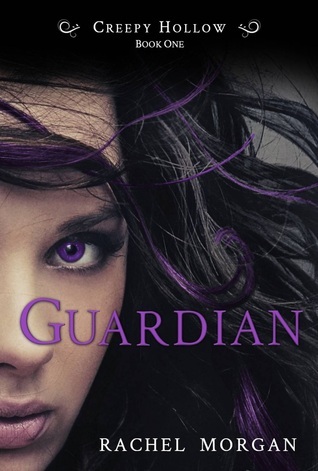 I received Guardian for review, and since it was such a short novelette, I just decided to read it one night. I thought it was good, nothing particularly special. I am a fan of books about faeries, and I liked how Rachel Morgan created her world and her fey. But, as is the case with most novellas/novelettes that I've read, there could be so much more! I think if the story were full length, or at least twice the size as it is now, that it could be something really fantastic. There is a lot that can be added, and the plot in general can be majorly slowed down. There isn't enough time for the events to unfold. Plus, there is some pretty major insta-love in here, which is unfortunate, because I really dislike insta-love. I mean, they don't actually say the words, but they just start kissing out of nowhere, and I just sat there while reading saying to myself "Where did that come from?" It's a pretty short little novelette, it only took me about 45 minutes to read it. It's not a bad read, insta-love aside, I just feel like there was so much room for growth and improvement, and this little novel had so much potential! There was plenty of action though, so I was never bored. I did want to know what would happen next, and I was really curious as to why everyone was after Nate. I liked Vi and Nate both, I just felt like I didn't get to know them very well. I also really enjoyed the whole Guild set up, and the thing about the fey being guardians for humans. It's an interesting take on fey. If you want something quick and enjoyable, then definitely read Guardian. I give it 3 out of 5 stars. I love the cover and since it is so short, I might check this out. It sounds like it could be fun. I can't find this book for my Nook. I am so bummed! I hate books that are only available for Kindle. That is such crap! Lindsay, that's why I bought a Kindle too along with my Nook. :) There are too many great books available for Kindle only. Thank you for the review, Ashley. I'm sorry Guardian isn't currently available for the Nook. After almost two months of being on Smashwords where they are *supposed* to distribute to Barnes & Noble, the book still hadn't shown up on the Barnes & Noble site. At that point I unpublished it from Smashwords in order to try out Amazon's KDP Select program. In three months time Guardian will be back on Smashwords and (hopefully) many other online retailers.